Columbia Basin Trust has granted the Nelson Community Food Centre (formerly the Nelson Food Cupboard) a significant sum to help in a renovation of the Nelson United Church Lower Hall. A media release said the Trust’s $250,000 will go toward creating a more welcoming and functional space for program participants — as well as volunteers and staff — of the Food Centre’s Good Food Bank, Garden, Food Skills and Harvest Rescue programs. Phase one of the renovations will see new windows, floors and ceiling, as well as upgraded office and volunteer spaces. The Food Centre has already raised a good portion of the funds required for this renovation project. Support has come from individual donors, local businesses and foundations, the TASK group and Community Food Centres Canada. The sizeable grant from the Trust means that the funding goal is well within reach. 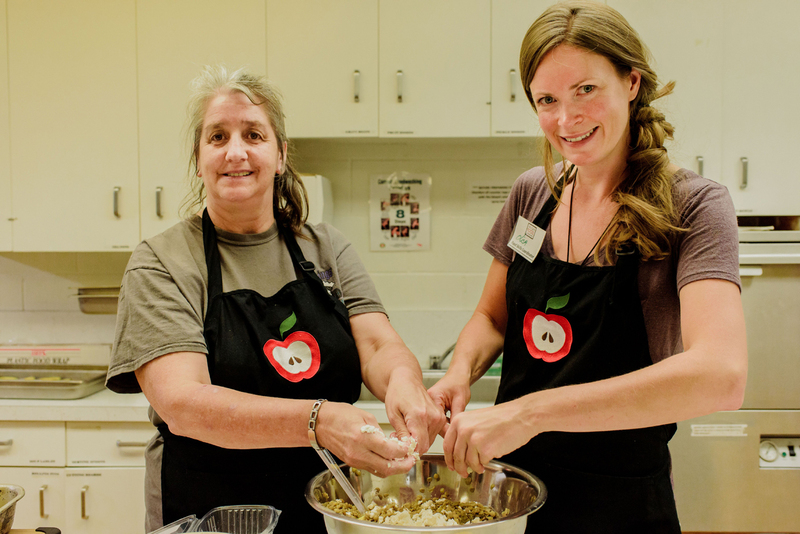 “The Trust has supported our organization, in various ways, for the last 12 years," said Nelson Community Food Centres’ executive director, Marya Skrypiczajko. About the Nelson Community Food Centre. The Food Centre has been serving the people of Nelson and area for more than 15 years. The organization’s approach is centered on providing positive social environments where people can access, share, grow, learn about and advocate for good food — all with a sense of dignity. The Centre’s long-term programming provides lasting positive impacts that empower people. www.nelsoncfc.ca.